At AOMA, your whole being is our priority. Our integrative philosophy provides you with choices and a personalized treatment plan. Learn about our integrative practitioners, faculty, and clinic staff. Download new patient intake and legal forms. AOMA faculty’s clinical specialties cover a wide range of clinical and scholarly expertise, including but not limited to the treatment of allergies, stress, depression, headaches, insomnia, and gastrointestinal disorders; interventions for the purpose of facial rejuvenation, weight management, nutritional therapy, and herbal practices; pain management, treatment of muscle injury, lumbago, and other musculoskeletal ailments; recovery from fractures and other trauma; women’s health; neurology; and fertility treatment. In addition to acupuncture and herbs, we offer Asian bodywork with a select number of our practitioners. This ancient form of bodywork couples pressure and rolling techniques along the meridian system and can treat any number of conditions without the use of needles. Asian bodywork is often used in pediatric treatments, with additional instruction given to caregivers as part of the treatment strategy. Please be specific when scheduling for bodywork, as only a few practitioners offer this modality and appointment lengths vary. Cupping, light acupuncture, electrical acupuncture, and tuning fork treatments can also be scheduled with some practitioners. 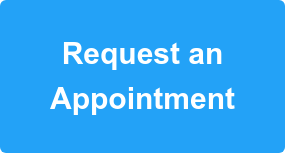 Be sure to ask receptionists for details when scheduling. In-network provider for United Health Care and Blue Cross Blue Shield. Coverage and co-pays vary by plan – be sure to bring insurance card and photo ID to scheduled appointments. I can say without reservation that receiving treatment from Dr. Fan in the professional clinic almost two years ago was a pivitol experience in my life. Not only was he most instrumental in quickly resolving a 'chronic' pain condition that allopathic medicine offered no resolutions for but he also influenced me to begin the practice of qigong which has had a transformative effect on me and which I continue to practice to this day. AOMA and Dr. Fan truely turned the tide of my life. I am a patient of Xiaotian Shen. I had very extensive surgery on my back in 2000. For 6 years I lived on T-3 for the pain that I was left with after the surgery. I had PT, different procedures and different medications but in the end was told that the muscles were in constant spasms and there was nothing to be done for me, I just was to live on narcotics. It was suggested to me to try acupuncture by a Navy Dr. but I knew that TRICARE wasn’t covered so I just didn’t do anything about it. After moving here to Austin things changed for me. My daughter who worked at the GLO heard Shen talk and met him and was so impressed that she told me about him and AOMA. I actually made an appointment and she went with me for the first visit. Dr. Shen changed my life and I have been off all pain medications since I started seeing him in 2007. I recently came back due to more back problems with herniated disc etc. He is helping me once again. I can’t say enough for Shen, acupuncture and wish there were some way that I could force TRICARE to become a partner with you. For the past 3 years, I have been suffering from neck pain and numbness in my arm. After my first appointment with Song Luo, I feel like a new person. I have no tightness and I sleep all night long without any arm pain. Luo is patient and explains everything along the well. I wish I would have visited him 3 years ago. I recommend Luo and AOMA highly and in high regards. I have been to the AOMA clinic only twice but both times was astonished by the attention that was paid to the overall well-being of the patient. I thought I was going in to have a very specific area of pain looked at but found the medical staff first wanted to know information relating to all bodily functions. This is not something I am used to with Western Medicine and I was greatly comforted by it. I was asked about my familial history, medical history and about all aspects of my overall physical and mental well-being at the moment. I felt the medical staff was not only highly professional but concerned and interested in finding a therapeutic remedy for the ailment. And, in the end, I was given relief by the acupuncture and handed an herbal remedy specific to my individual needs. I am thankful that I found this place and will return whenever I feel I need relief from pain. I was experiencing, menopausal symptoms, of night sweats, low energy, fuzzy thinking and constipation. Through treatment with acupuncture and herbal medicine over a 9 month period of time, I was able to ‘get back my life’. I thought before I started going to AOMA that I was old, done with life, but honestly after treatment I am better than I had been for years and was able to continue in good health with an occasional tune up once a year or so. Also it helped ‘when I put my back out’ return to normal activities and released pain. After I was diagnosed with arthritis in my spine (and I believe it has spread to my knees), I was desperate for relief. Knowing I couldn’t properly function with the chronic pain and keep living on pain meds, I decided to try acupuncture. A co-worker with the same back problems referred me to this school. He tried everything and insisted that acupuncture has been the only thing that has worked for him. I got on the website and signed up to be seen and within an hour, I was called by a staff member to set up an appointment. I thought my first visit would be a consultation, but after a discussion and a few questions, she started the procedure. I told her I probably wouldn’t be able to lie on my stomach for very long as this becomes very uncomfortable on my back. She offered to let me get in a few other positions, but I decided to just stay on my stomach and try it. I absolutely cannot handle the thought of needles, but all I could feel was a prick and then expected to feel the needle going in after the initial prick. NOT AT ALL. That was it; a prick and it was in. After the first few, I couldn’t even feel her putting them in. I had no idea where she had placed all of them. I was able to lie on my stomach the whole time with no discomfort or pain. I left there feeling very relaxed. Just like everything else, physical therapy, meds, etc., I expected to have to go for several visits before I would feel a change. When I awoke the next morning, I had no back pain for the first time in at least two years! I had forgotten what it was like to not have constant back pain. Thank you AOMA!!! I have been going to AOMA since February 2011 and I have been very pleased with my treatments. I have not taken over-the-counter allergy medications at all since going there and my over-all health has been so much better. I had been seeing various doctors for many symptoms that were always temporarily treated with prescription medications, but the problem still remained. I feel so good everyday now that I don’t miss the days of feeling miserable! I look forward to my treatments as I have always been treated very professionally by the students and the physicians there. I recommend AOMA to my friends almost weekly! AOMA has been the best thing I have done for my health after many years of struggling with illness. Thanks AOMA! I had a back injury and the muscles were so tight that I couldn't touch my toes. After one acupuncture treatment with AOMA I am now able to touch my toes and turn my torso. I will be going back! As a longtime retail manager, my job included extensive data entry. The monotony of the job led to hours of phone conversation during my work. After several years of working with hands forward and neck cocked, I developed unbearable pain under my left scapula. I sought treatment from the western medical world. My pain was seen only as muscular. I was fed muscle relaxants and pain killers for over 4 years. This treatment protocol continued until my long time doctor finally sent me to physical therapy for my shoulder pain. After one visit to the physical therapist, my pain worsened to the point I could not bear to even have a person on my left side for fear they may touch my arm, sending shooting pain through my shoulder area. My doctor assured me that the pain may get worse before it got better so I found a new therapy center located closer to my home. After extensive interview & range of motion testing, the new therapist felt this pain was caused by a bulging disc in my neck & the pain in my shoulder was a result of pressure on the nerve. The new therapy, which consisted of a wide range of extension exercises, eventually helped to alleviate the majority of the pain. With additional stress, the pain would increase back to its original state, and often became worse. When I changed jobs from retail to office manager, the pain continued in my shoulder. I sought treatment for the pain through acupuncture in a Clinical Theatre Class at AOMA Graduate School of Integrative Medicine. I was met with a small class of inquisitive students and a confident instructor (Xiaotian Shen). After extensive intake paperwork and initial questioning; Shen felt the pain was caused by stagnation and that once weakened, the body would attack that area during periods of stress. Because this was my first experience with acupuncture, Shen recommended that he do a light treatment to include some mild needling for 30 minutes or so and local cupping. After about an hour and a half, the treatment was complete. I left feeling relaxed and pain free. For me, acupuncture accomplished in less than 2 hours what western medicine could not properly diagnose yet alone alleviate in 4 plus years of drug therapy. I have not had a significant reoccurrence of this pain in over 5 years & continue to have acupuncture treatments for allergies, and sports injuries I suffer as a professional disc golfer.